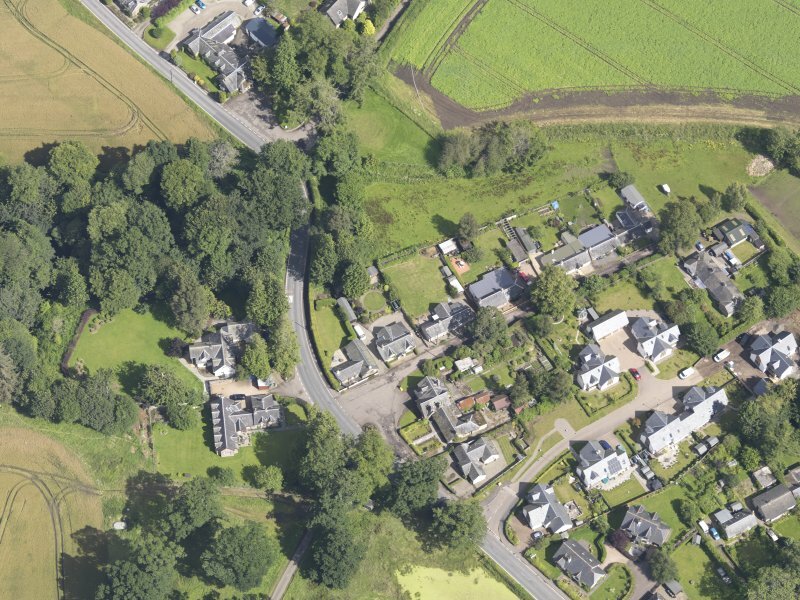 General oblique aerial view of Meikleour centred on the Mercat Cross, taken from the SSW. 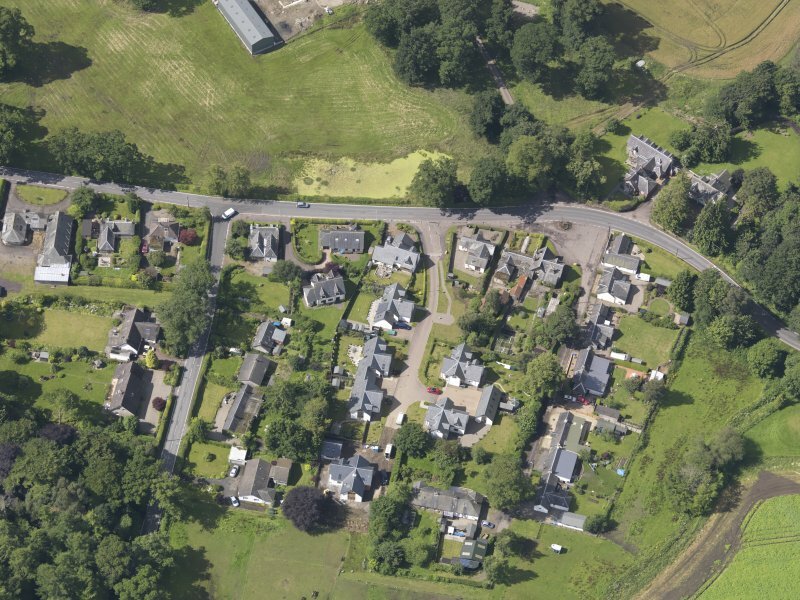 General oblique aerial view of Meikleour centred on the Mercat Cross, taken from the SSE. 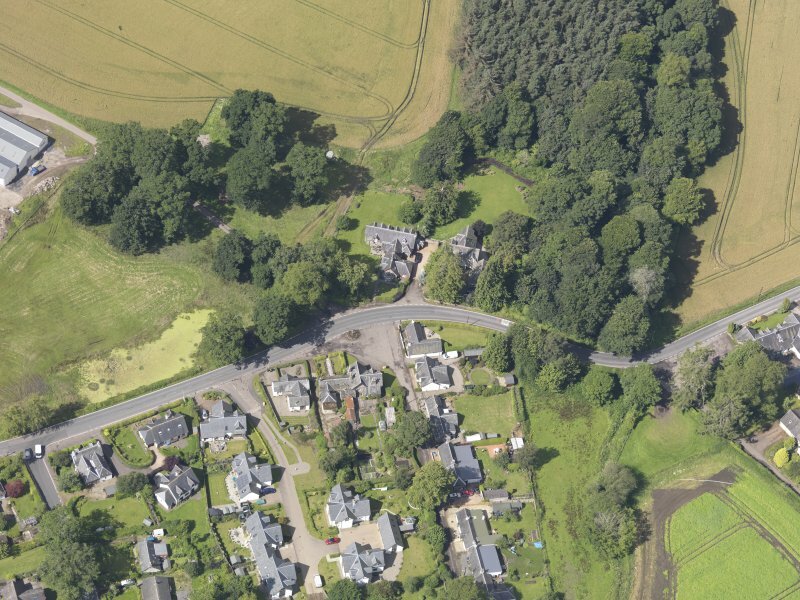 General oblique aerial view of Meikleour centred on the Mercat Cross, taken from the NE. 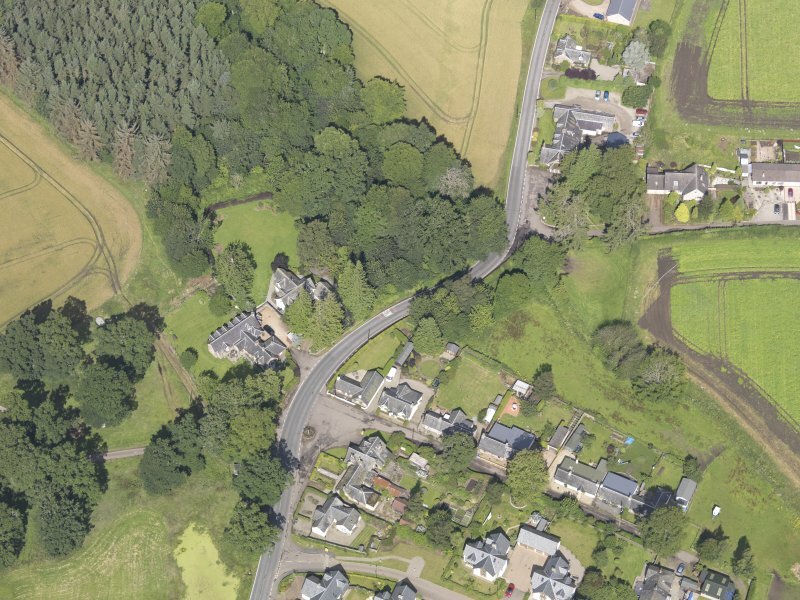 General oblique aerial view of Meikleour centred on the Mercat Cross, taken from the E.
For adjacent tron and jougs (NO 1575 3950), see NO13NE 77. 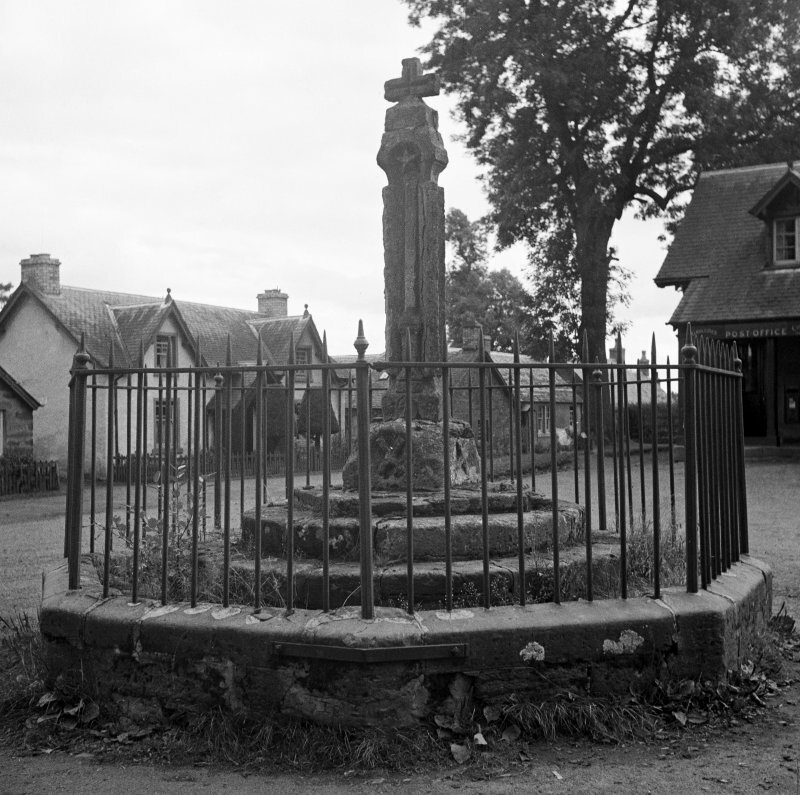 (NO 1575 3952) An ancient cross, bearing the date 1698, stands in the centre of the village square at Meikleour, with an iron railing round it (T Hunter 1883). 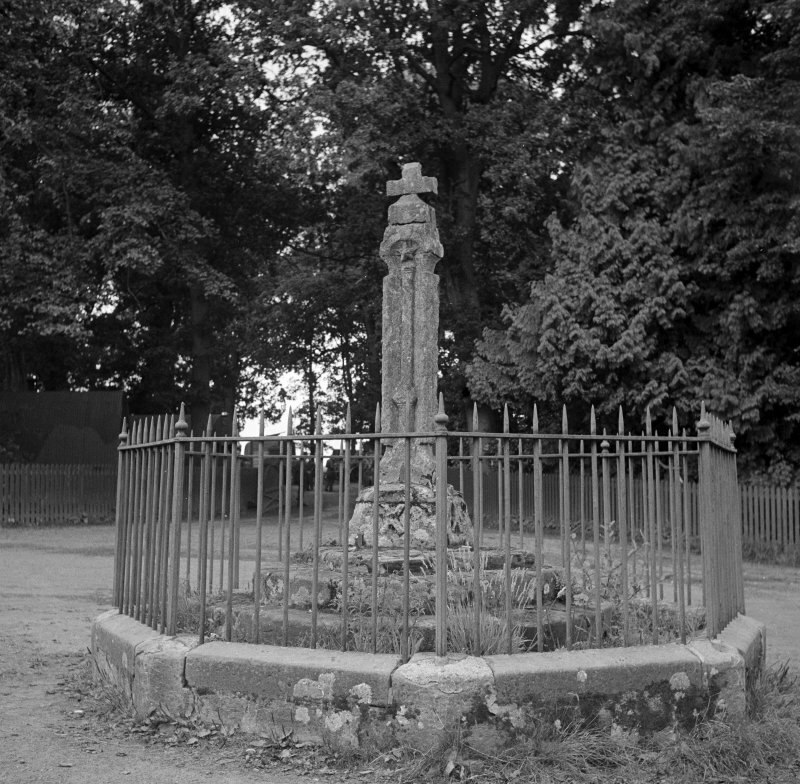 Seen by Crawford in 1943 who gives the date as '16(?)2'. Information from O G S Crawford 17 May 1943. 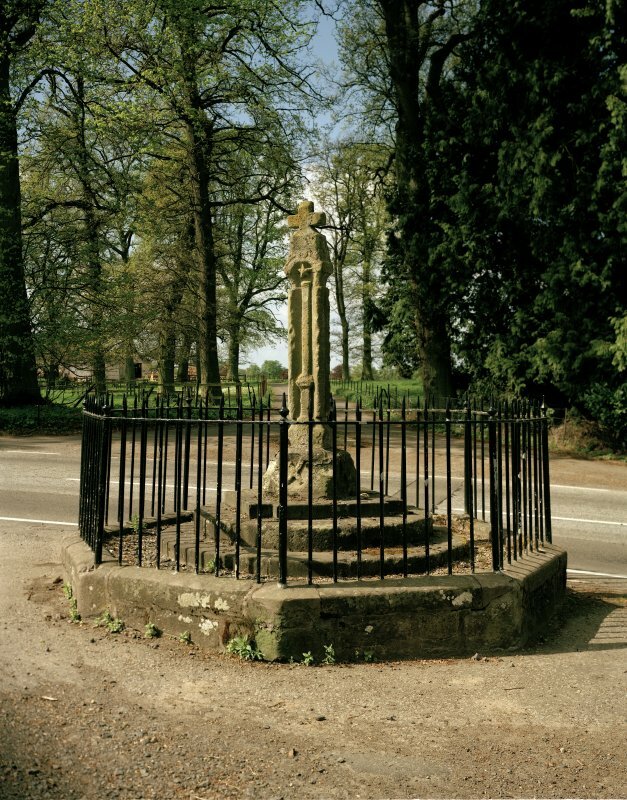 NO 1575 3954 Meikleour Cross is a complex stone pillar surmounted by a cross on a platform of two circular steps and a third step cross-plan, and decorated with stars and crosses; dated 16(9)8 (SDD List 1962). Visited by OS (WDJ) 20 February 1969.